This is a stylish and effortlessly chic property, situated just steps away from Aldgate East Tube Station. With fabulous dining, comfortable accommodation and an unbeatable East London location, this is an offer you won't want to miss! At the Arbor City Hotel 4*, our members will stay in spacious Superior Rooms, with a delicious complimentary breakfast included! 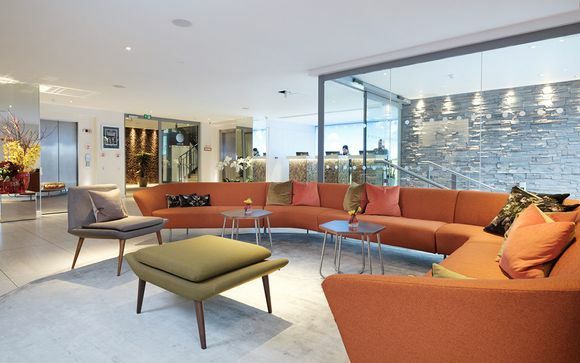 Your hotel is situated in an exciting and vibrant part of East London, where you can immerse yourself in art galleries, vintage clothes shops, pop up restaurants and excellent food markets. 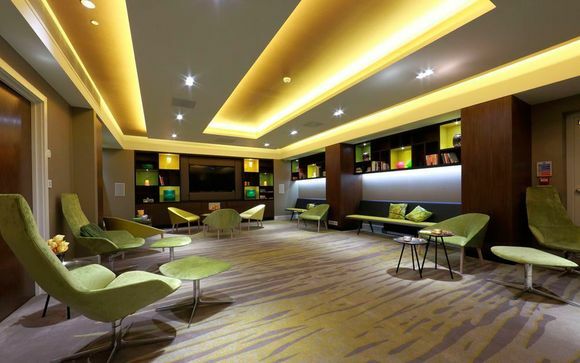 The hotel is also ideally located for access into Central London. Some of the attractions in the area include the Whitechapel gallery - a contemporary exhibition space for modern artists, photographers and filmmakers, Brick Lane market and Spitalfields market - both renowned for their food and fashion. A visit to the iconic capital would of course not be complete without hitting some of the major landmarks. History and architecture buffs should head for St Paul's Cathedral, the Houses of Parliament, and The Tower of London. Culture vultures will relish the abundance of art galleries - the Tate Modern and National Portrait Galleries to name just two. If it's entertainment and shopping you're here for, the West End theatres, and Knightsbridge shopping emporiums should leave you wanting for nothing - from Harrod's to Hamleys, you will find it all here! 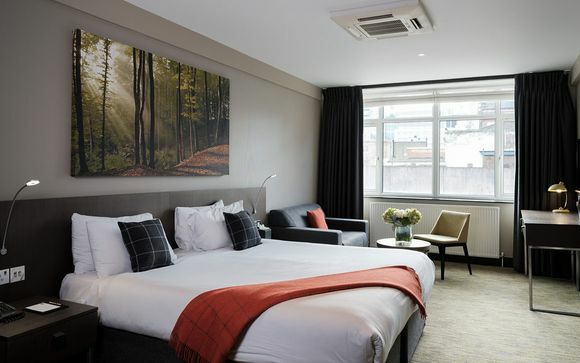 The Arbor City Hotel 4* was fully refurbished in 2015, revealing a bright, modern and stylish city centre crash pad that's perfectly placed for sightseeing. 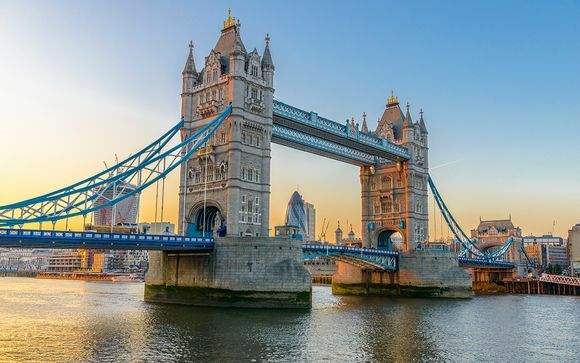 The hotel is situated near many well-known landmarks and transportation links, including the Tower of London and vibrant Brick Lane, so whether you want to immerse yourself in the local culture or hit up all the big tourist landmarks, you're sure to have a convenient stay. The stylish lounge bar and elegant restaurant are great places to wind down after your day's adventures. This offer is based on an Upgraded Stay in a Superior Room (19m²). Each spacious Superior Room comes complete with the ideal amenities for a pleasant and welcoming stay. Featuring facilities such as air-conditioning, complimentary WiFi, a work desk, satellite TV, coffee and tea-making facilities and a personal safe, these rooms provide a cosy home-from-home atmosphere. Each morning, our guests will be treated to a delicious complimentary continental buffet breakfast, ensuring they feel full and satisfied ahead of a long day exploring the city's highlights. Located in the heart of London, Marco’s New York Italian Brick Lane is the perfect place to dine for any occasion. Making the most of the fresh local produce, Marco’s serves quality American-Italian food including a selection of fresh pasta, steak burgers and pizzas. Dine from a number of Italian classics, like Spaghetti Carbonara, or if you’re feeling brave, tackle the full rack of American BBQ Smoked Ribs. With a menu to suit everyone’s taste and appetite, it won’t disappoint. All guests are required to provide photo identification in the form of a Passport, Driver’s Licence or similar identification that includes a photo and current address. Without Original copy of valid ID, the guest will not be allowed to check-in. The Arbor Group will photocopy the ID and attach it to the guest registration card. This is for security and safety of the hotel, staff and other guests. This property is accessible to those with reduced mobility. / This property is not accessible to people with reduced mobility. 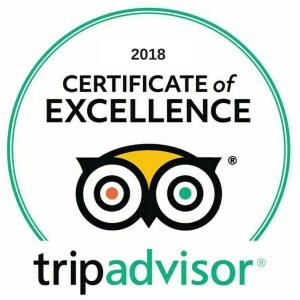 Our price doesn’t include a city/accommodation/tourism tax which may be payable locally (this price is a guideline and is subject to change without prior notification). Check-in outside these times may incur additional fees.